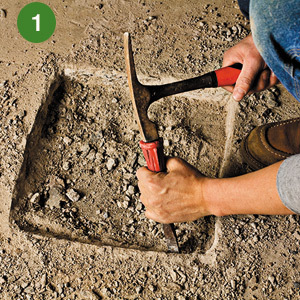 O ur friends at This Old House have a great post on how to quickly patch a cement floor. They basically suggest four steps. We will summarize them here, but we suggest reading the full article for more detail. Keep in mind, this sounds simple but it does require some skill. Many manufacturers also make vinyl and epoxy compounds that will do the same thing.